The Arab Spring, a wave of democratic movements that swept across North Africa and the Middle East from 2010 through 2012, was celebrated as a moment of significant change in the region. Longstanding dictators like Hosni Mubarak in Egypt, Mummar Gaddafi in Libya, and Ali Abdullah Salen in Yemen were swept from power, and widespread popular protests in countries like Algeria, Bahrain, Morocco, and Oman led to democratic reforms. 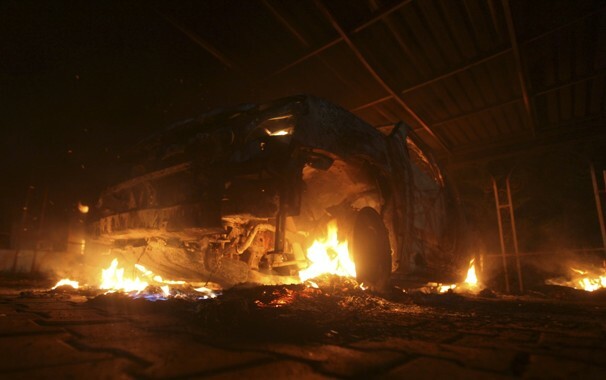 But the celebrations were short-lived as the power vacuum created in the wake of the protests created an opening for groups like the Islamic State in Iraq and Syria (ISIS) to operate freely. It also created an opening for radical Islamic parties to roll-back liberal freedoms demanded by protestors in the first place. What do you think? 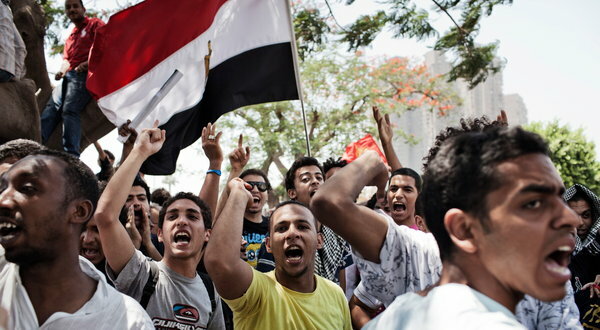 Should the Arab Spring be judged as a success or a failure in hindsight? 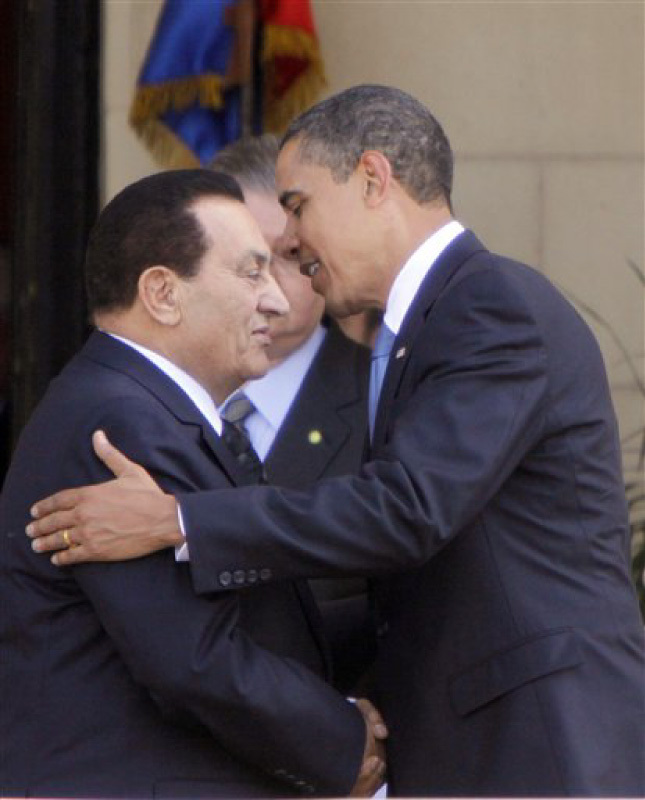 Should the United States have supported forces to remove dictators like Mubarak and Gaddafi? Why? 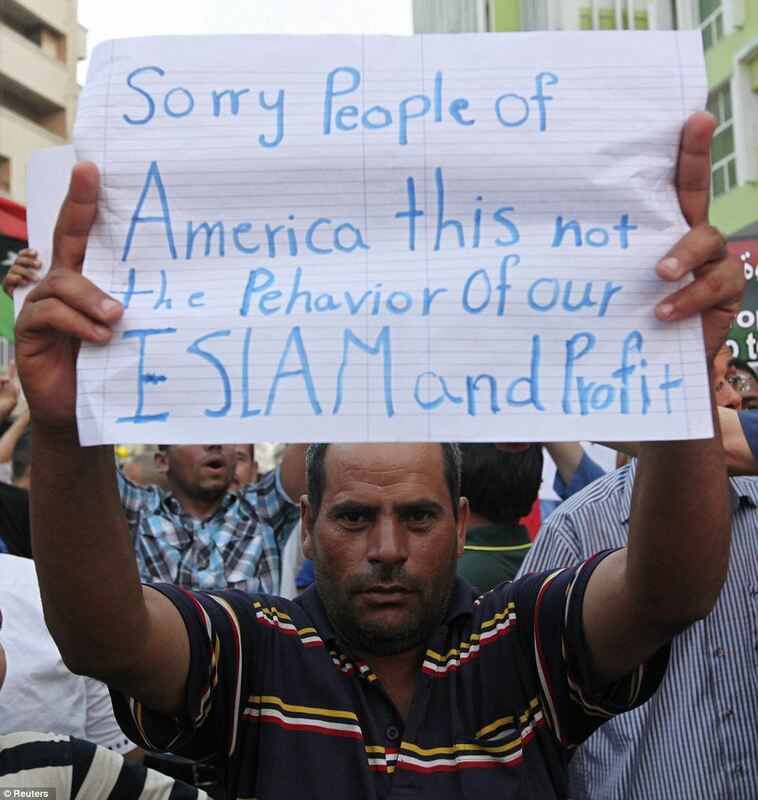 How would you have advised President Obama to respond to the Arab Spring? Why? Friday, May 3 is World Press Freedom Day. 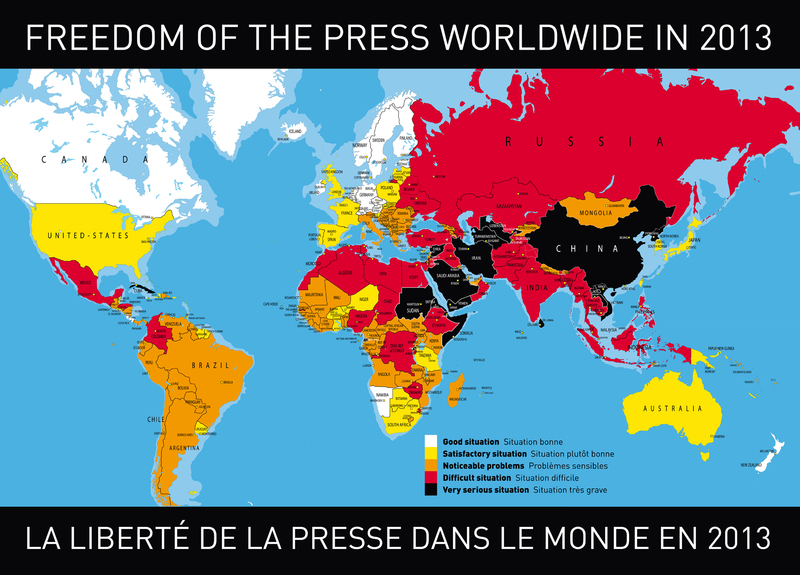 In observation, Reporters Without Borders produced this map exploring the scope of press freedom around the world. Most of the findings of the accompanying report are not particularly surprising… Places experiencing civil unrest and or home to oppressive regimes are pretty bad places to be a journalist. 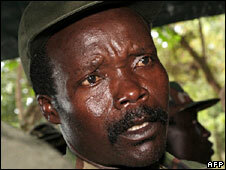 Witness the poor rankings of countries like North Korea, Syria, Somalia, Iran, and Eritrea. The report also notes that 2012 was the deadliest year for journalists worldwide, with some 103 journalists killed, at least 70 of which were killed directly because of their work. The report notes that nearly three years after the Arab Spring began, the Middle East region still remains in last place in terms of press freedom. Only one country (Kuwait) places above 100th place globally, with most falling much further in the rankings. What do you think? Are you surprised by the lack of press freedoms in the Middle East despite the Arab Spring? 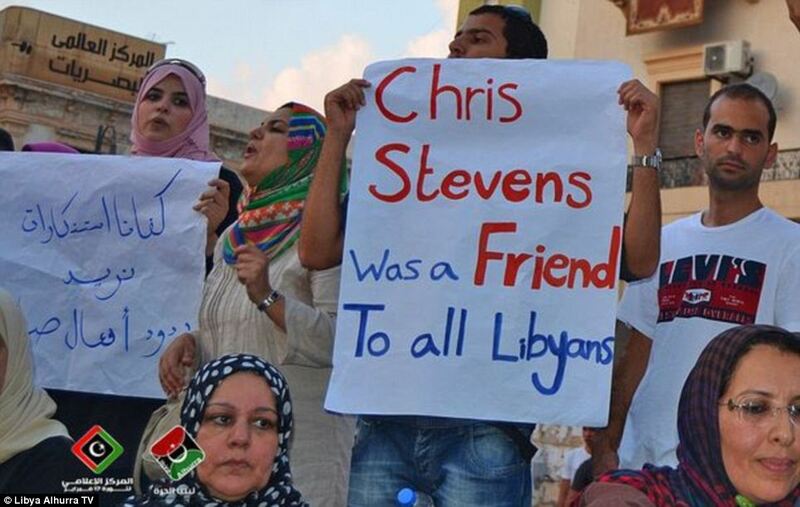 Would you have expected the Arab Spring to generate a higher level of concern over freedom of the press? Take the poll or leave a comment below and let us know what you think.